Wild animal encounters can be incredibly fulfilling experiences for travelers, however it’s important to understand how tourism impacts the welfare of the animals and their environment before booking your trip. It can be a challenge to ensure your travel adventures are eco-friendly. We’re bombarded by glossy marketing materials promoting exotic destinations and once-in-a-lifetime experiences that misdirect and confuse. Don’t let pretty pictures distract you—you can choose to travel ethically without forfeiting epic adventures. It’s all about taking a stand and supporting tourism business and brands that promote eco-friendly and animal-friendly practices. What effect will the activity have on the animal(s)? A simple way to decide whether a wildlife adventure is ethical is to determine whether or not the experience will be detrimental to the animal(s), or the environment. Will the activity cause an animal stress or pain? Will you be interacting with an animal that isn’t domesticated? Will your presence cause damage to the environment? If you’re unsure how the activity will impact the animal and its habitat, consider whether or not you’re comfortable taking part. Will your trip be enhanced by the experience? 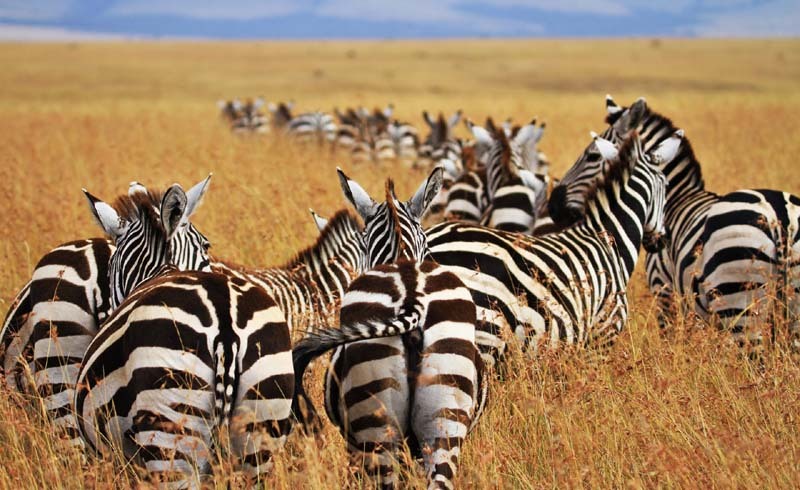 It may seem like an ideal opportunity to collect fodder for your Instagram feed, but question whether your trip will really be enhanced by the animal tourism activity. Are you able to observe the animals without venturing too close, touching them, or disrupting their natural environment? Look for passive observation opportunities before committing to an activity you are unsure is ethical. Investigate Their Goals: It’s important to vet the claims of an operator providing an animal tourism excursion. Don’t assume that they abide by a code of ethics, research them yourself. Read all of the information provided by the operator on their website and at their HQ, and ask questions to satisfy any of your concerns. The operator should clearly define how their tour impacts the environments you visit. Check Their Affiliations: Check that the operator is licensed by the relevant local authorities, and investigate their affiliations. This will help you to understand their motivations for operating a wildlife adventure. Look at Their SocialMedia: Investigate the way in which they promote themselves on social media. Look at the kind of photos they post and the language they use to describe their activity; make sure it aligns with your position on ethical wildlife tourism. Read online Reviews: Check travel review sites like TripAdvisor for recent feedback from guests. If you spot anything that contradicts the image the company themselves promotes, share your concerns with them prior to booking. Don’t forget that ethical travel starts with a sustainable approach to buying your travel luggage. Support brands like Eagle Creek that use PVC-free materials, Bluesign® approved fabrics, recycled materials harvested from landfills, and minimize waste to lighten their footprint and preserve the planet. When replacing your travel bag, choose the right products. This wheeled duffel bag features 100% recycled PET ripstop and a recycled coating on its durable back fabric with laminated exoskeleton to reinforce high-wear areas. If you want to interact with marine mammals during your next eco-travel adventure, America’s manatee capital—Crystal River, Florida—should be on your bucket list. Licensed operators offer half-day excursions during which you can spend time in the water with Florida’s loveable aquatic herbivores. Passive observation is heavily promoted and guests are advised not to touch the manatees. Pack a quick dry towel to easily dry off and a waterproof dry bag toprotect your belongings on board the boat. A truly iconic wildlife watching experience, catching sight of a bald eagle in flight, its white head glinting in the sun, is something all keen ornithologists will covet. Head to the San Juan Islands in California, which hosts over 125 nesting pairs—one of the highest densities anywhere in the lower 48 States. Sightings are frequent year-round, where resident eagles patrol the islands’ shorelines in search of prey. 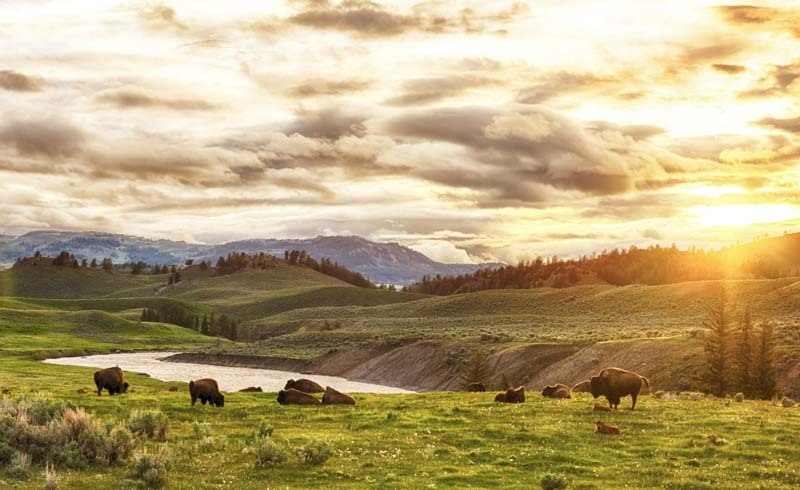 Yellowstone is the only place in the United States where bison have lived continuously since prehistoric times, and you’ll likely find yourself in the company of a grazing herd if you tread lightly along the park’s network of hiking trails. Head to the Lamar Valley, known and the American Serengeti for sweeping panoramas and memorable wildlife sightings.To pack for a national park, choose a daypack with a side stretch water bottle pocket and pack plenty of fluids as temperatures can soar during summer. If you’re planning to book a wildlife adventure, support ethical operators that have a positive impact on the wildlife and environments they promote. Our planet is precious and we all need to do our part to protect its riches.